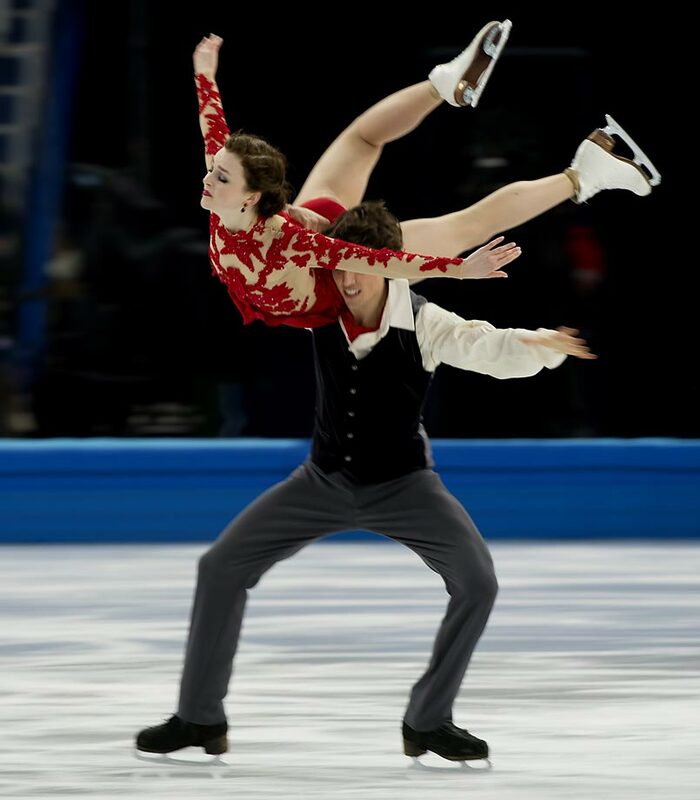 The duo scored 116.63 points in the free dance to finish with 195.52, 4.53 ahead of silver medalists Tessa Virtue and Scott Moir of Canada. 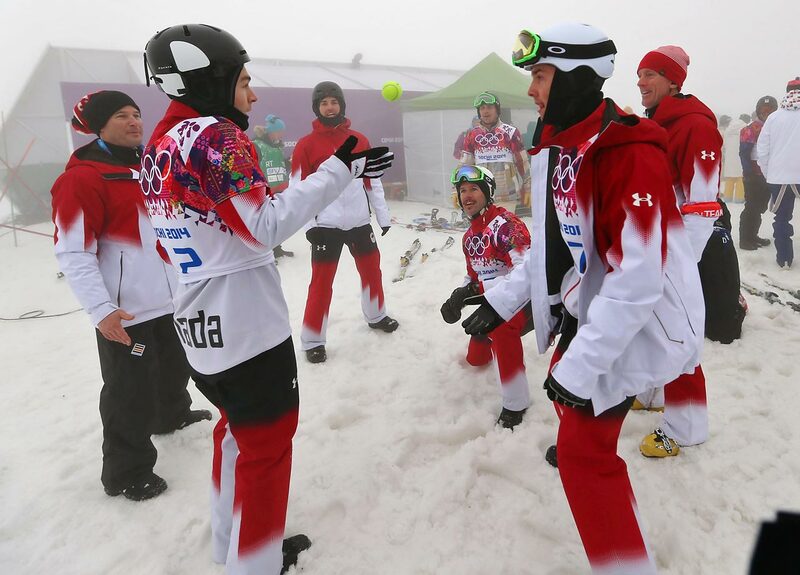 Davis and White took home the silver medal in the Vancouver Games. 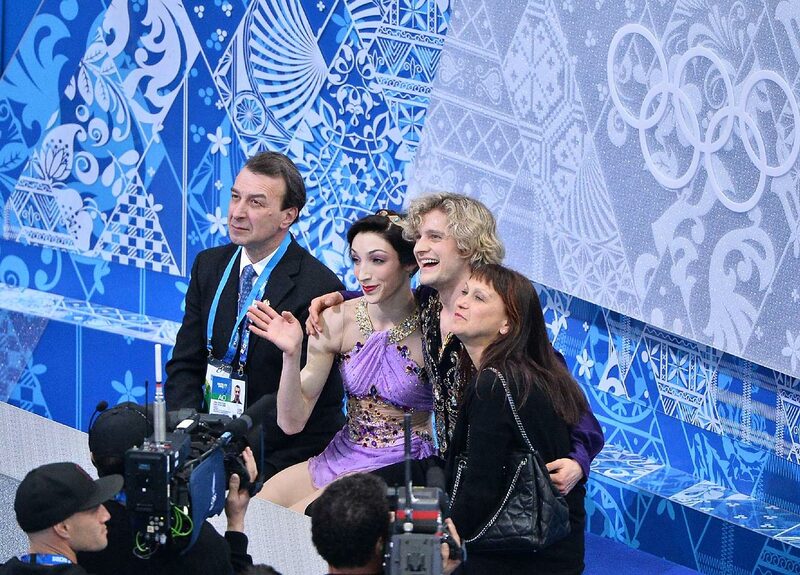 The Michigan duo started skating together in 1997. 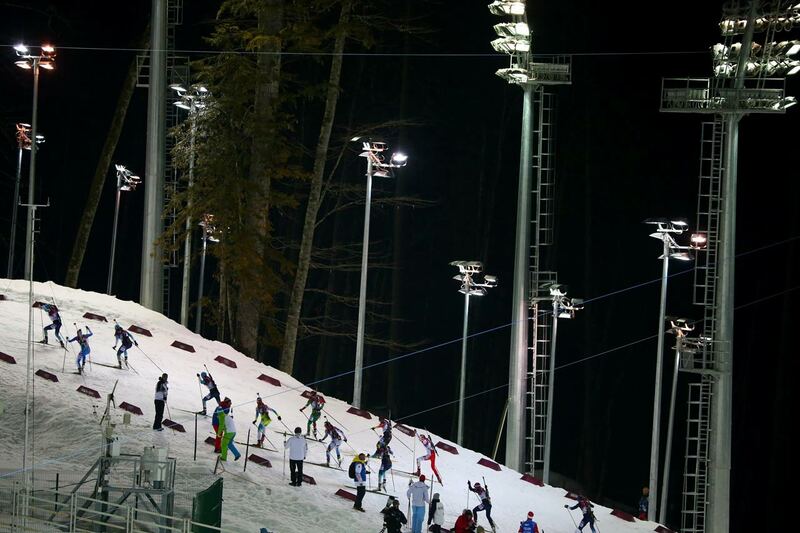 They were nearly flawless in their performance on Monday. 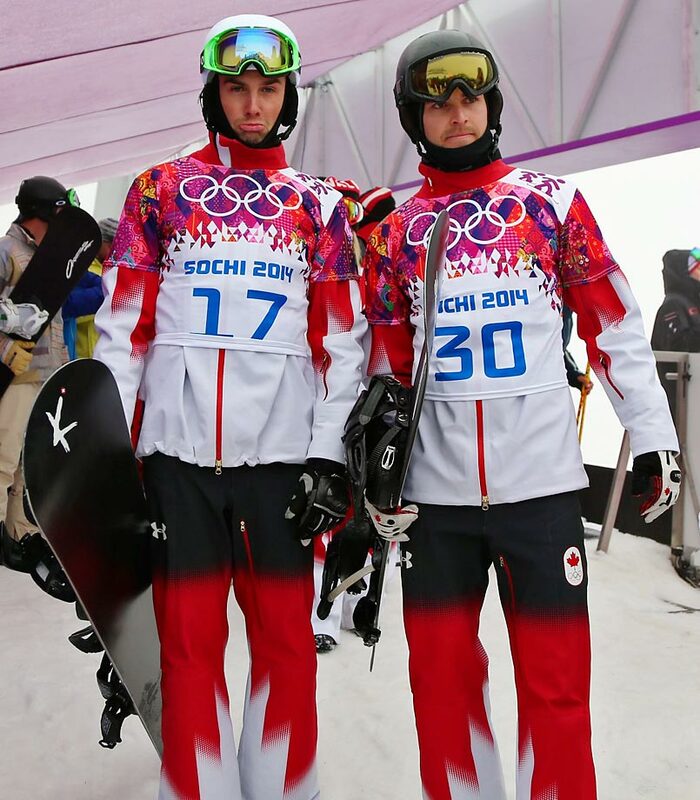 Davis and White eagerly await their final score. 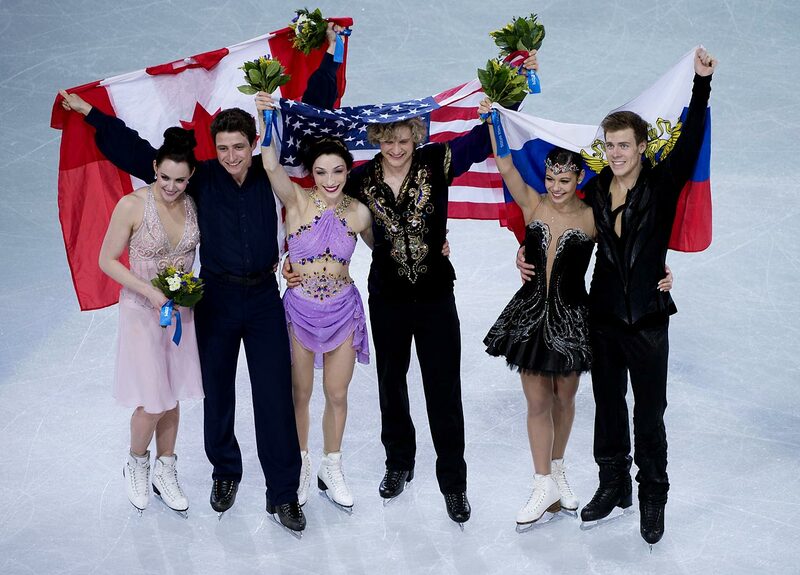 Davis and White together with Tessa Virtue and Scott Moir of Canada (silver), and Elena Ilinykh and Nikita Katsalapov of Russia (bronze). 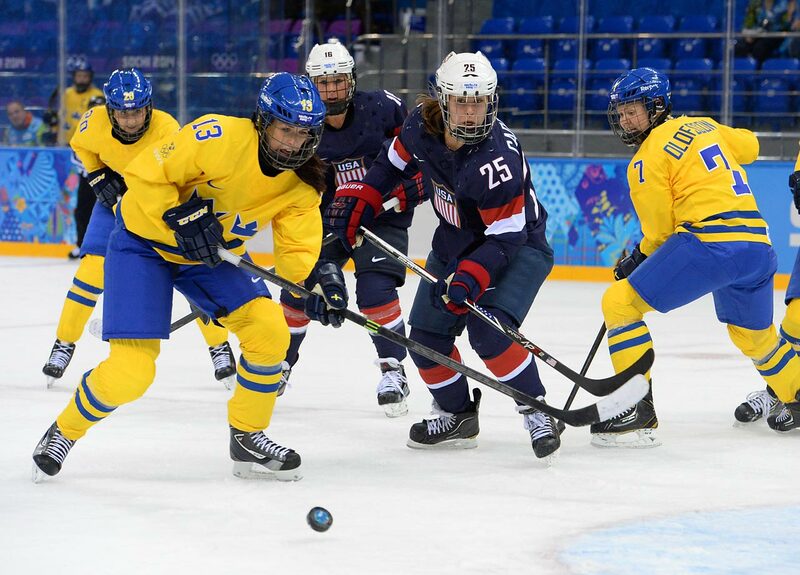 Hilary Knight helped the U.S. defeat Sweden 6-1 on Monday as it advanced to the gold medal game. 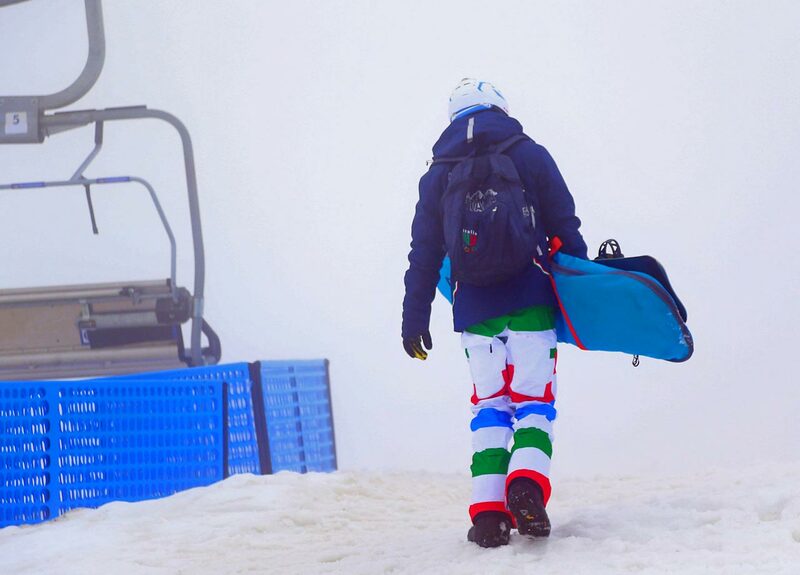 The U.S. has medaled in every Winter Games since women's hockey was added in 1998. 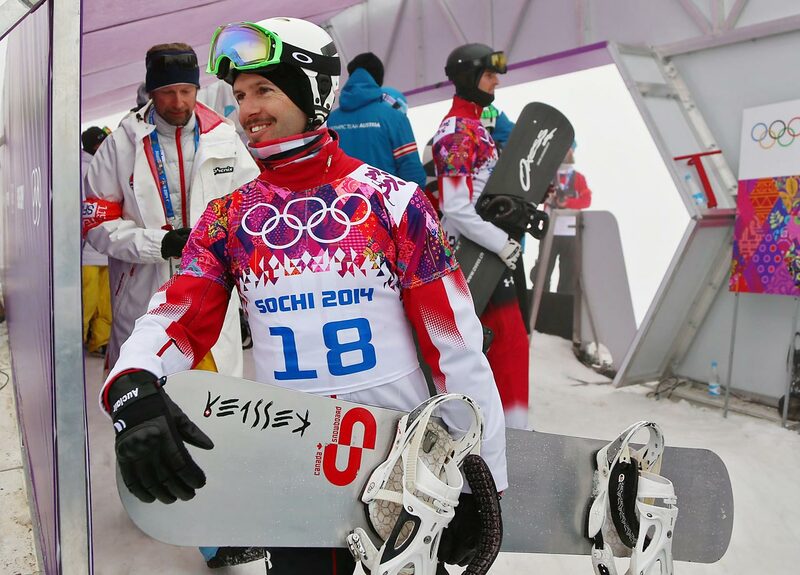 Nothing less than gold will make the team happy this year, given their silver medal finish four years ago. 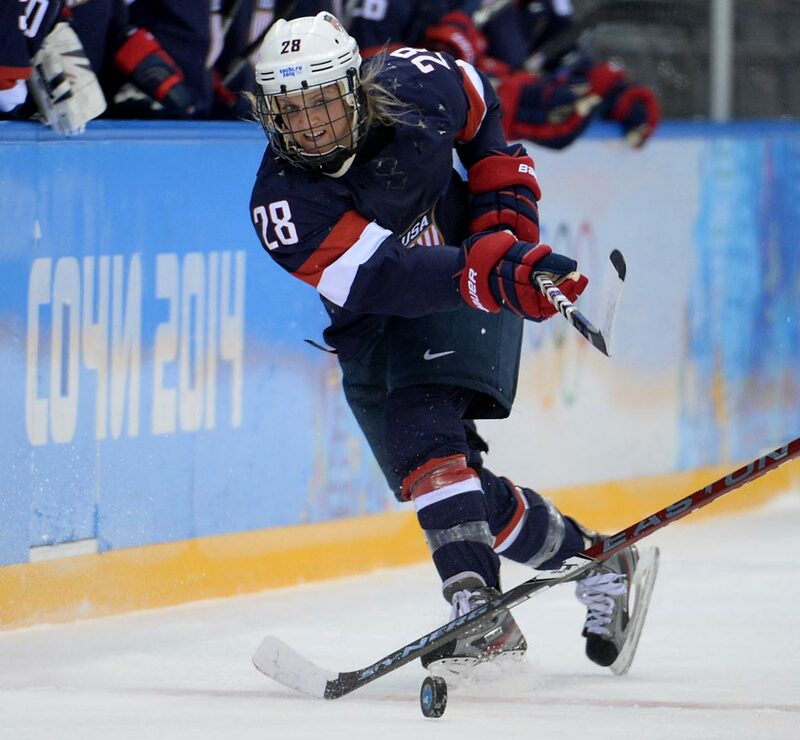 Amanda Kessel and her teammates outshot Sweden 70-9. 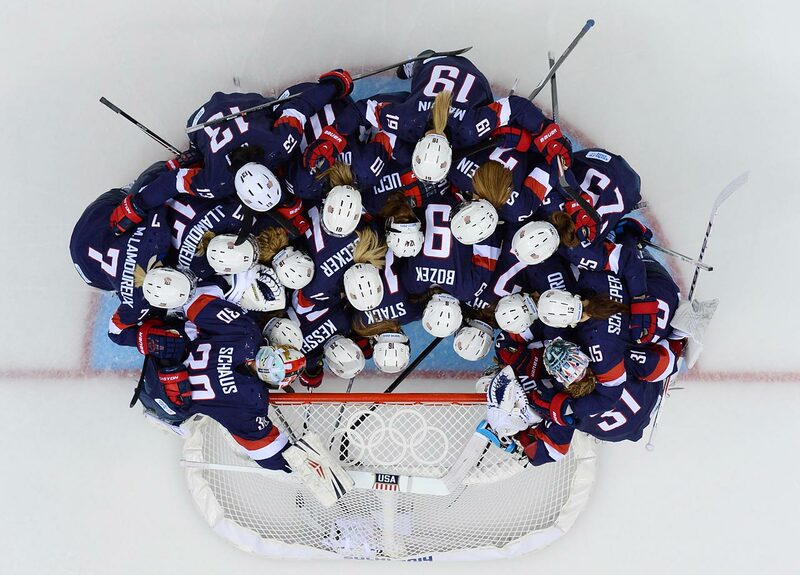 Megan Bozek, Kendall Coyne and Brianna Decker each had a goal and two assists for the U.S. 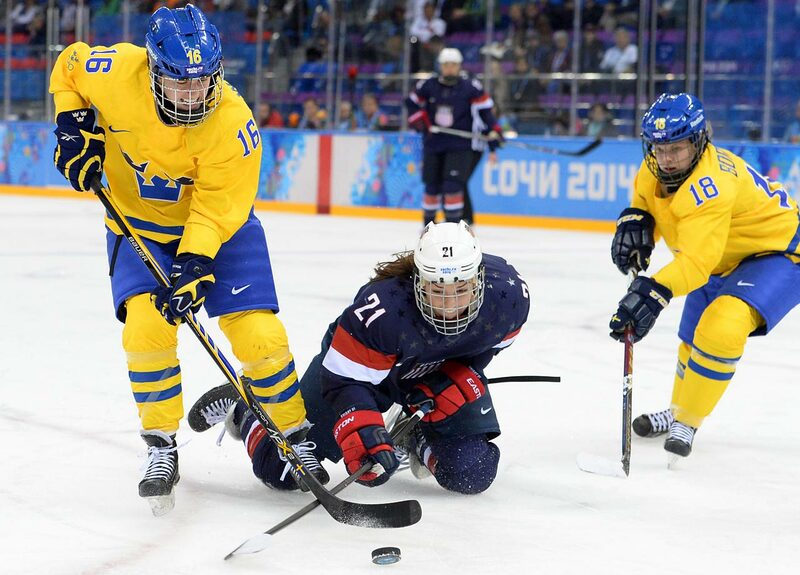 Forward Alex Carpenter battles with Sweden's Lina Wester. 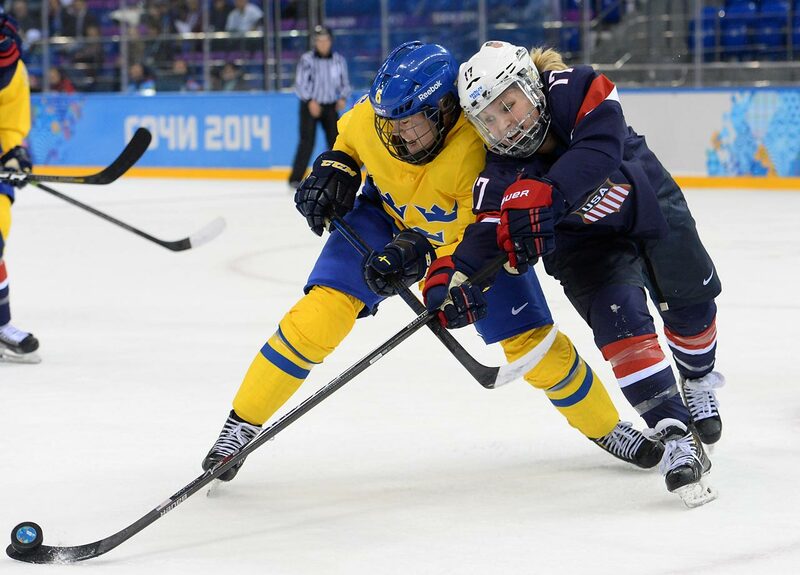 Jocelyne Lamoureux of the U.S. fights for the puck against Sweden's Lina Backlin. 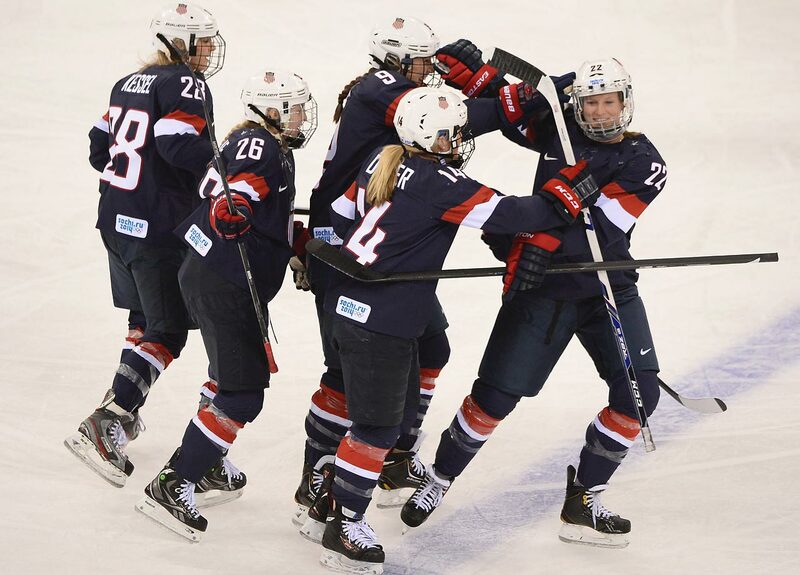 The U.S. team celebrates with Kacey Ballamy (22) after her goal bumped the lead to 2-0. 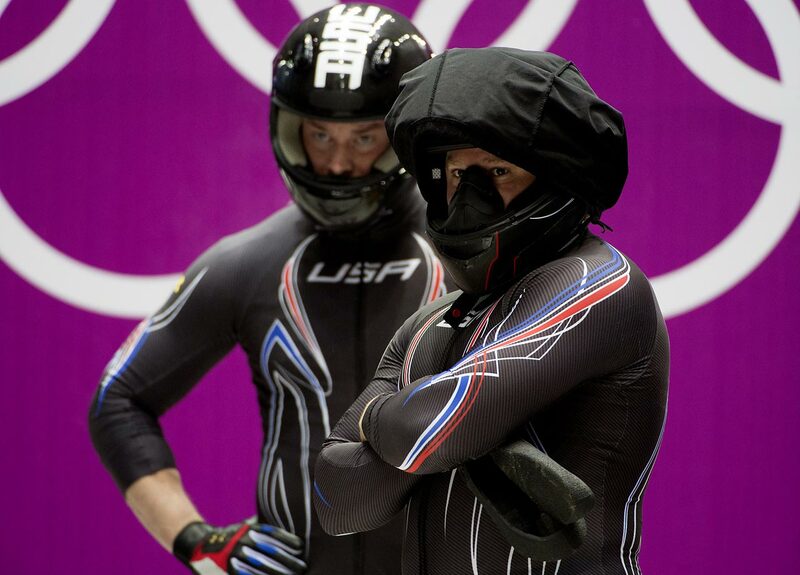 Steven Holcomb and Steven Langton won a bronze medal in the two-man bobsleigh for the U.S. 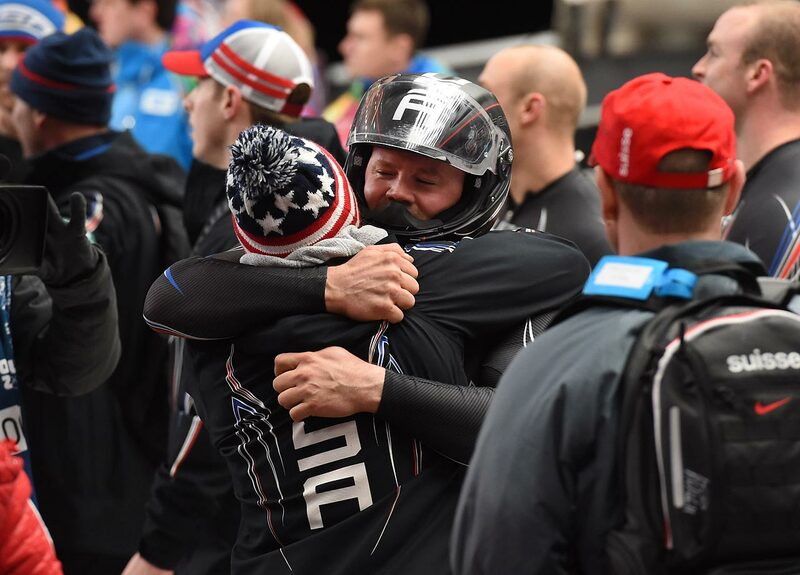 It was the first two-man medal by an American sled since 1952. 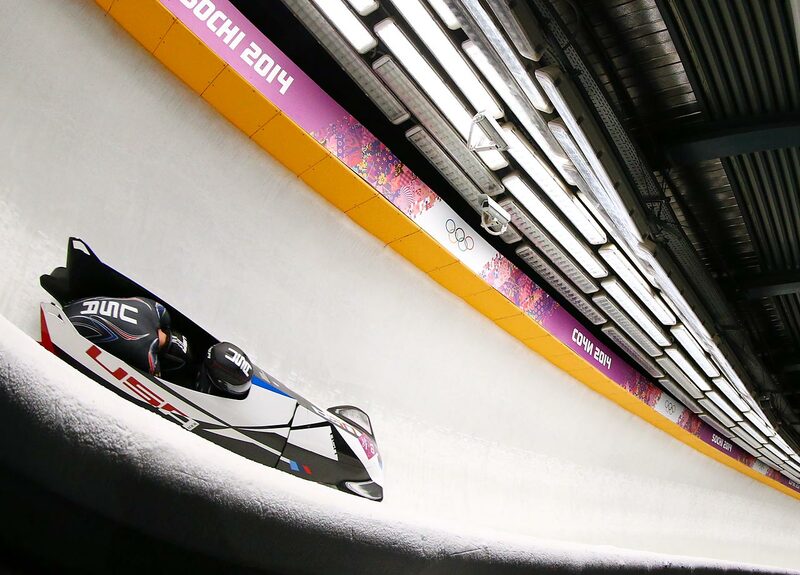 Silver medalists Beat Hefti and Alex Baumann of Switzerland, gold medalist Alexander Zubkov and Alexey Voevoda of Russia, and bronze medalists Steven Holcomb and Steven Langton of the United States during the flower ceremony for the two-man Bobsleigh. 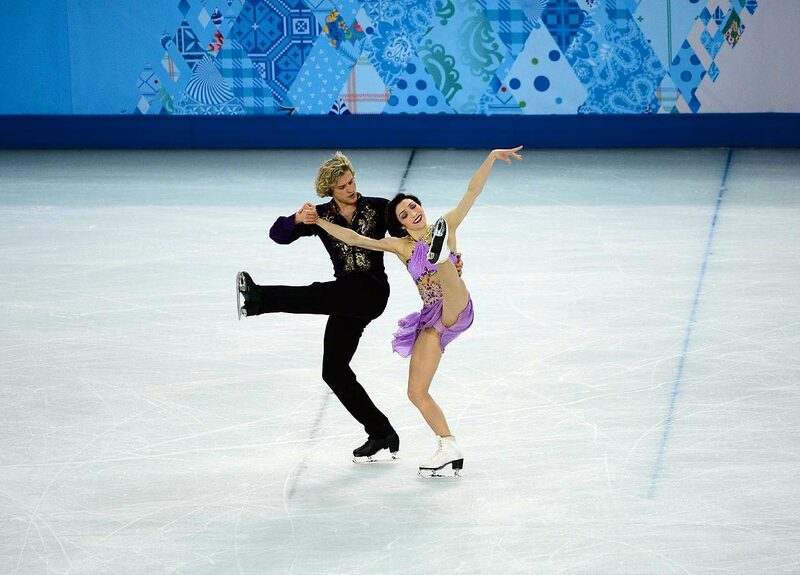 Julia Zlobina and Alexei Sitnikov of Azerbaijan in the figure skating final. 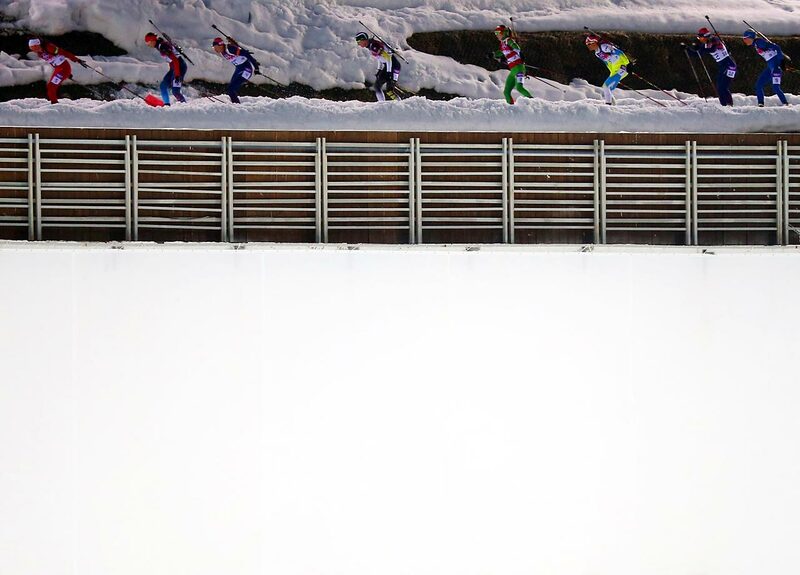 Sara Hurtado and Adria Diaz of Spain. 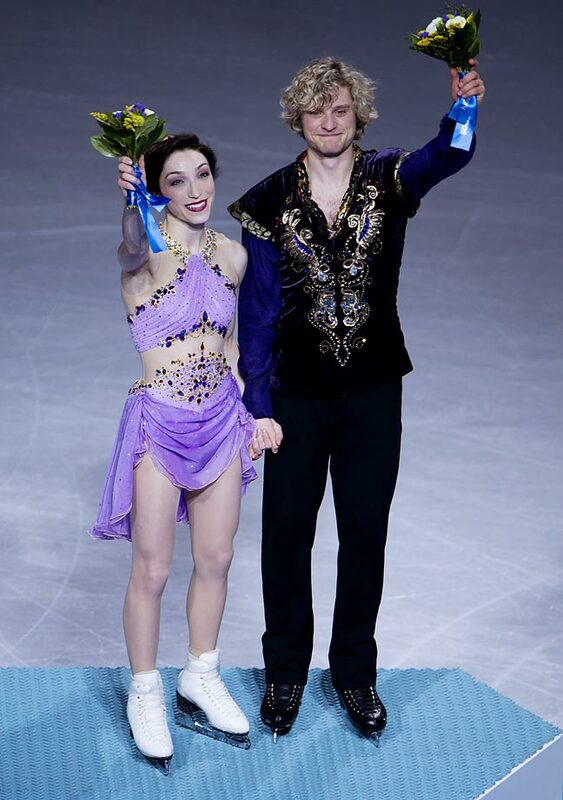 Elena Ilinykh and Nikita Katsalapov of Russia won the bronze medal. 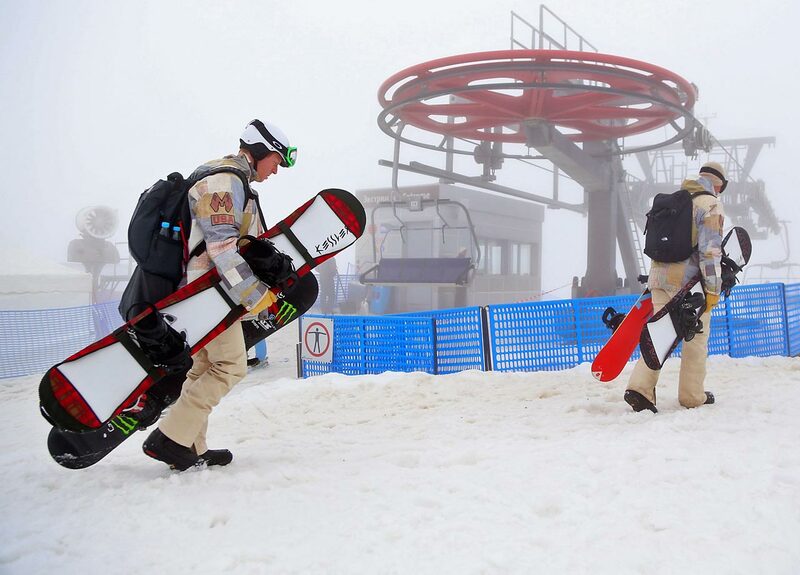 Nelli Zhiganshina and Alexander Gazsi of Germany. 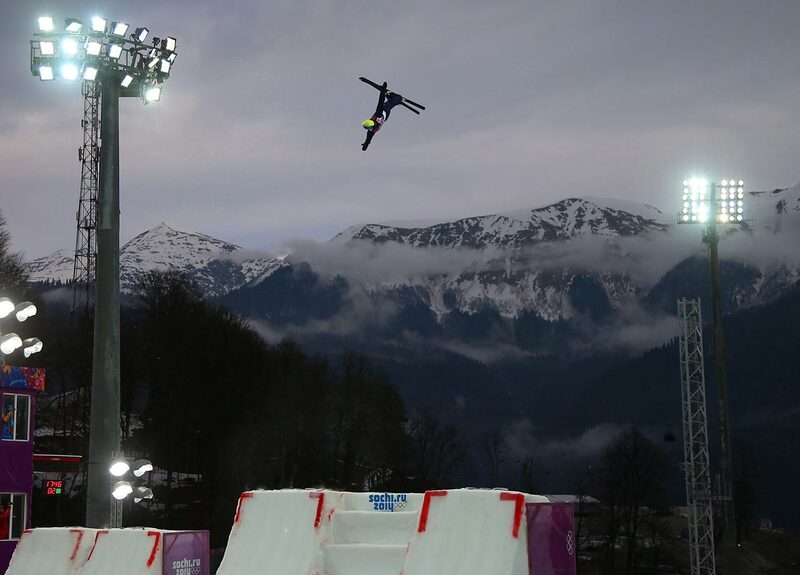 Tanja Kolbe and Stefano Caruso of Germany. 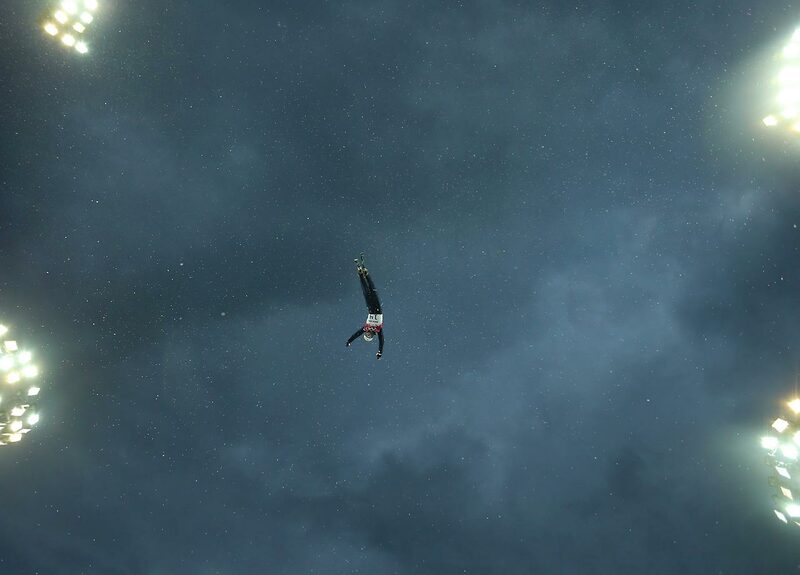 Alexandra Paul and Mitchell Islam of Canada. 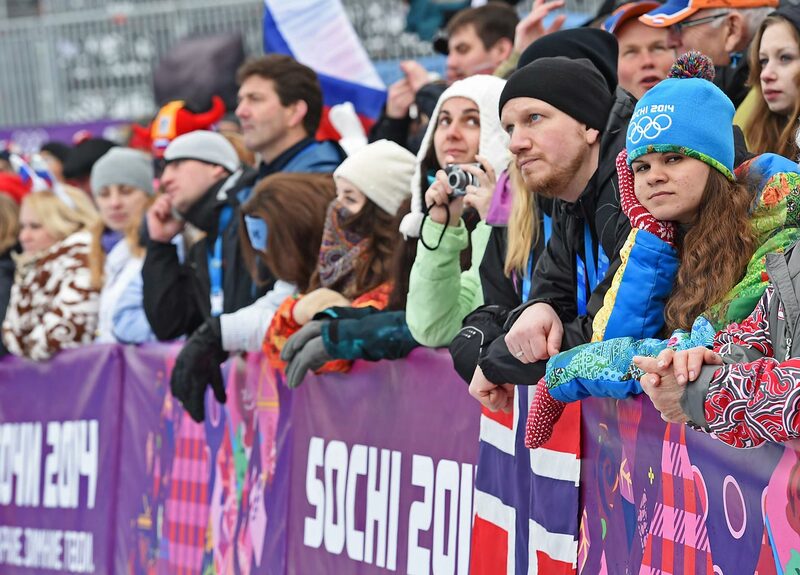 Isabella Tobias and Deividas Stagniunas of Lithuania. 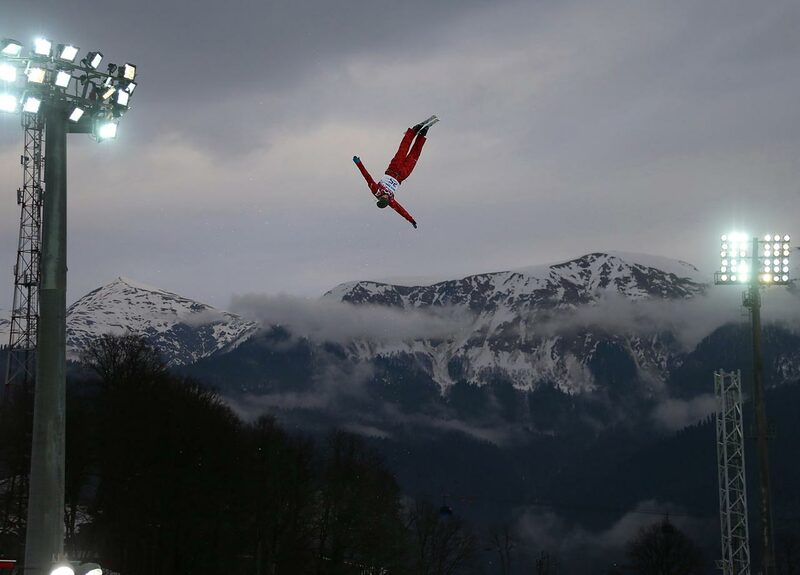 Pernelle Carron and Lloyd Jones of France. 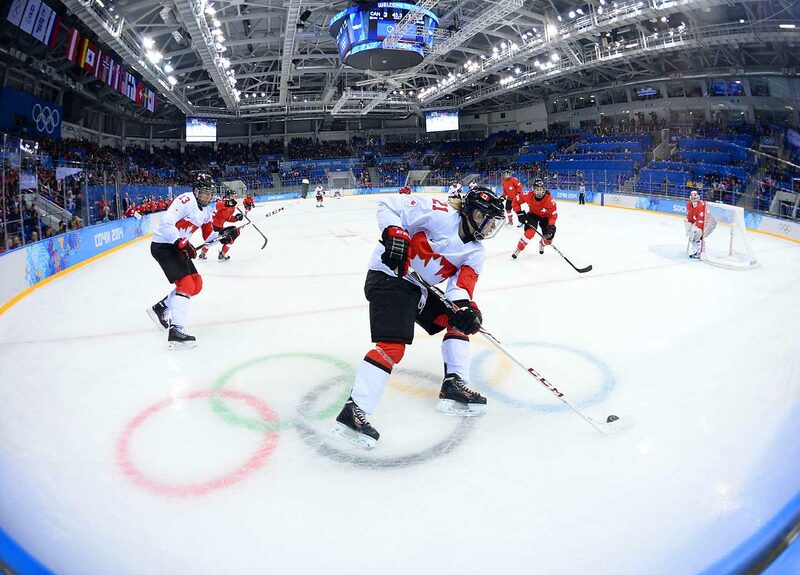 The unbeaten Canadians clinched a spot in the Olympic championship hockey game on Monday for the fifth straight time, beating Switzerland 3-1 in the semifinals. 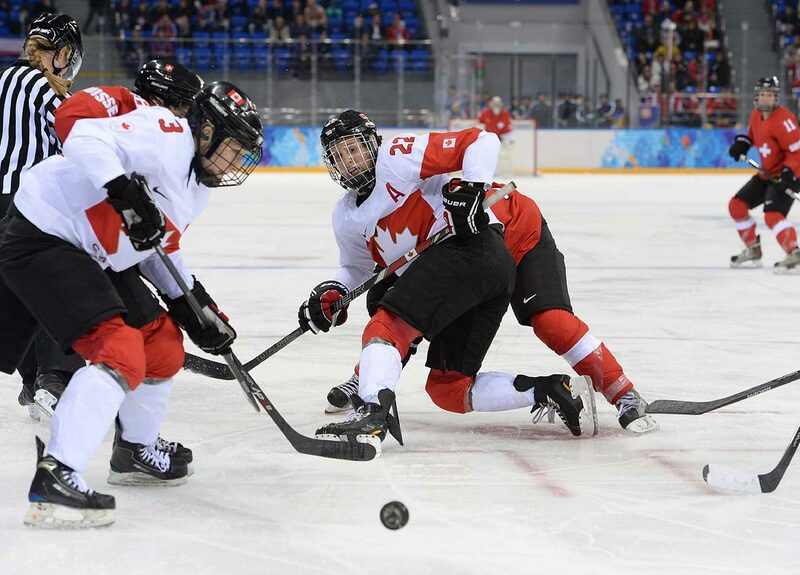 Natalie Spooner scored twice and Shannon Szabados stopped 21 shots to help the three-time defending gold medalists. 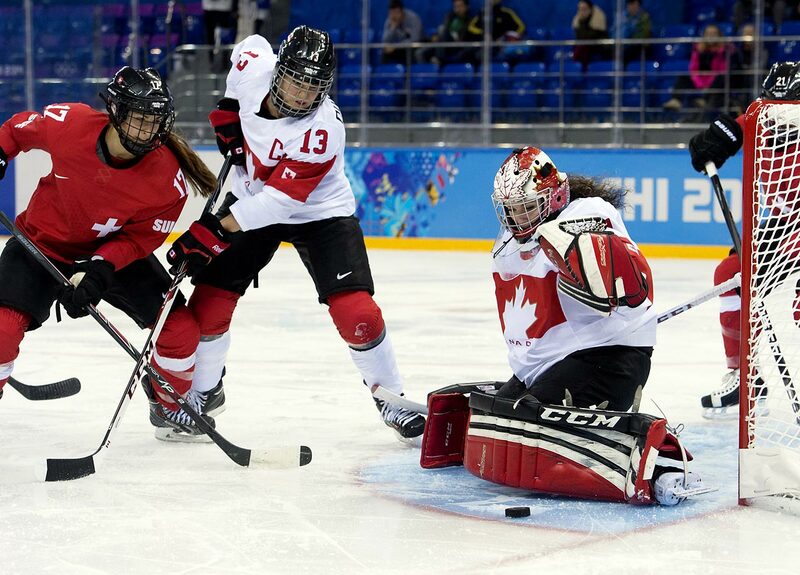 Canada will face the U.S. in the gold medal game. 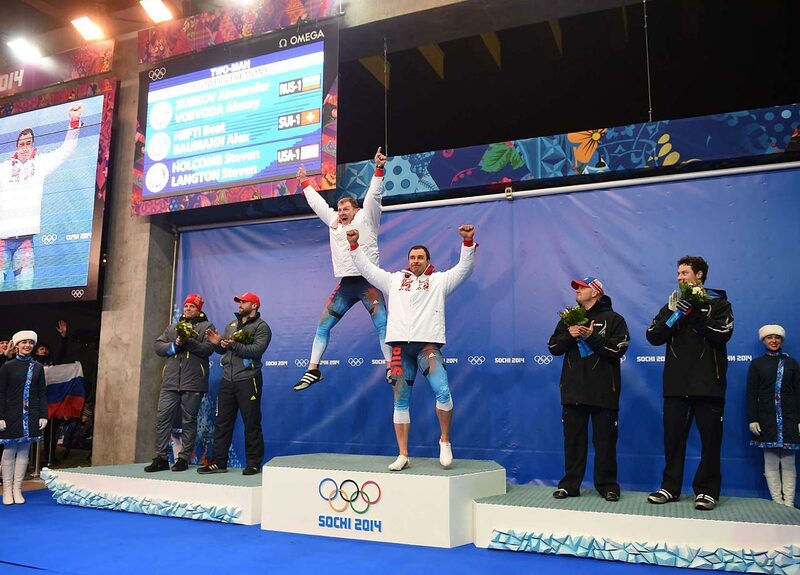 Canada and the United States played seven times in the run-up to the Olympics, with the Americans holding a 4-3 edge, but Canada defeated the U.S. in pool competition. 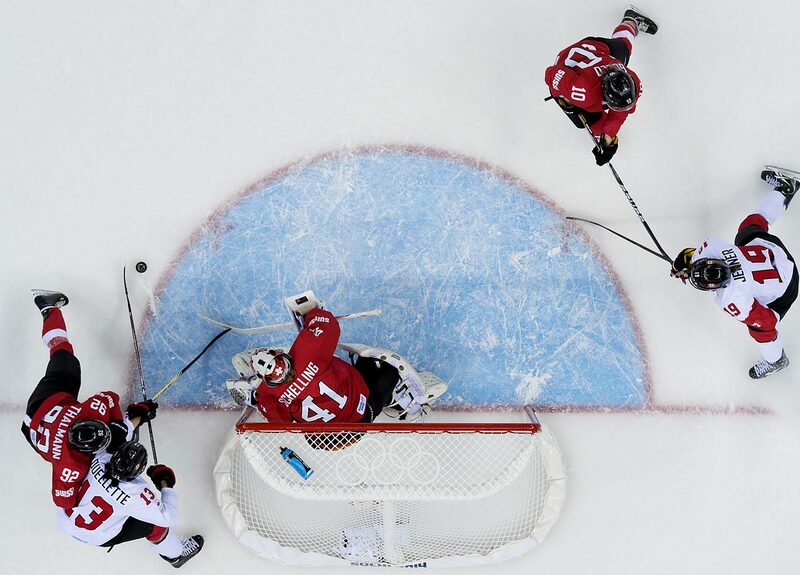 Swiss goalie Florence Schelling, who went to Northeastern University in Boston, made 45 saves in what was the closest game against Canada in Swiss Olympic history. 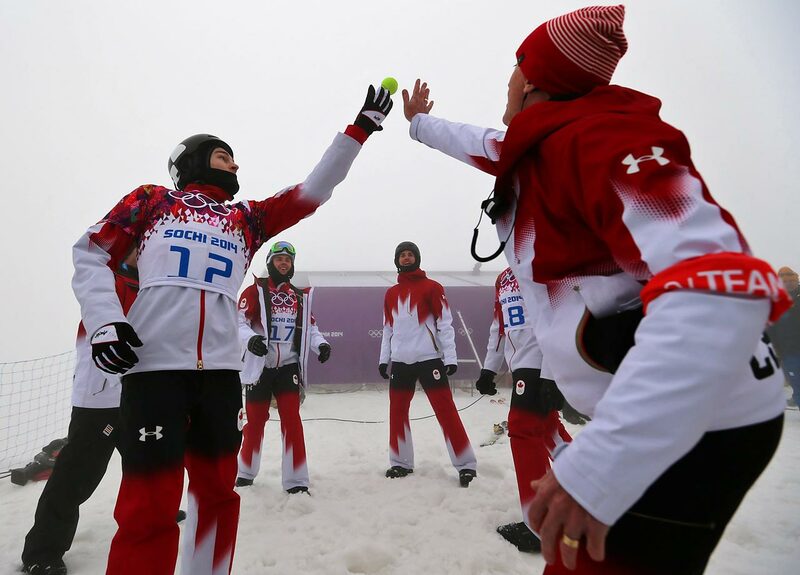 The Swiss will play Sweden on Thursday for the bronze medal. 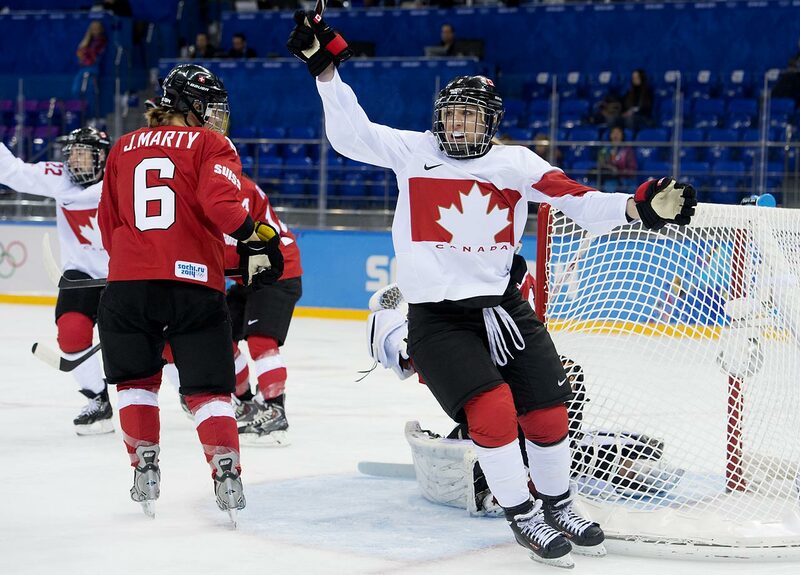 Meghan Agosta celebrates the first of two goals by teammate Natalie Spooner (not pictured). 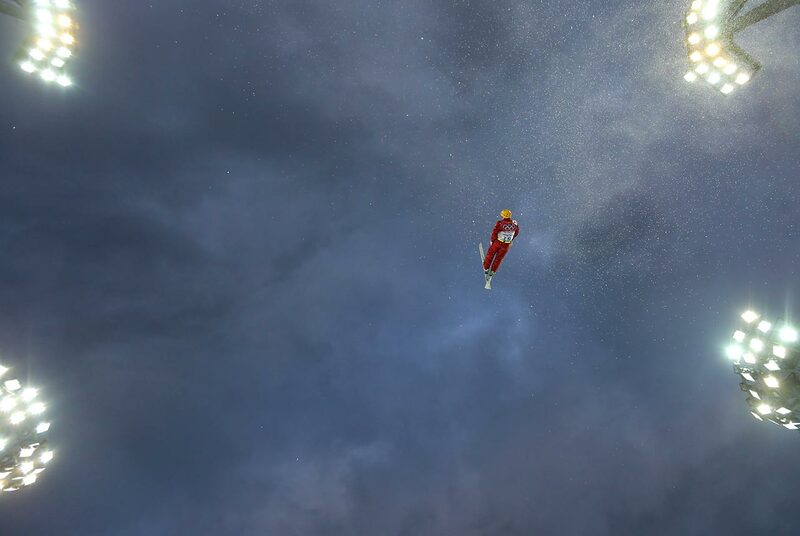 Shannon Szabados makes one of her 23 stops. 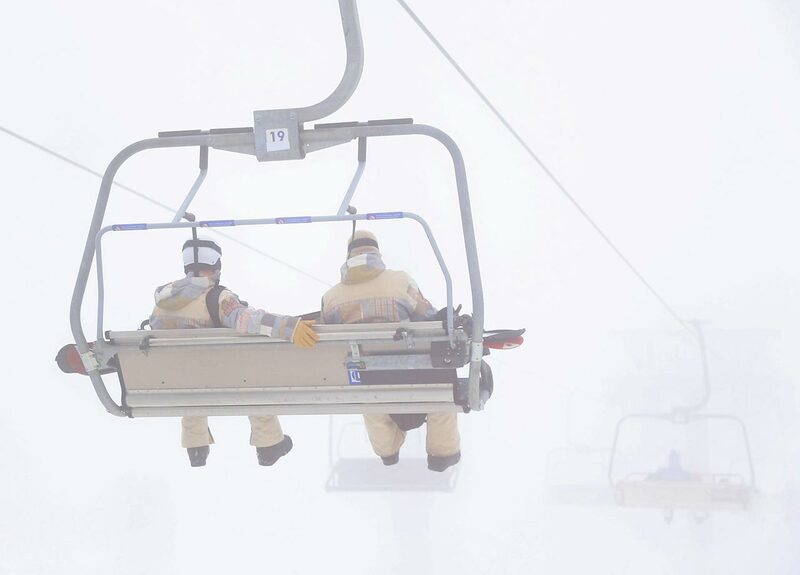 Officials pushed back the morning seeding runs in hopes that the fog would lift, but it didn't. 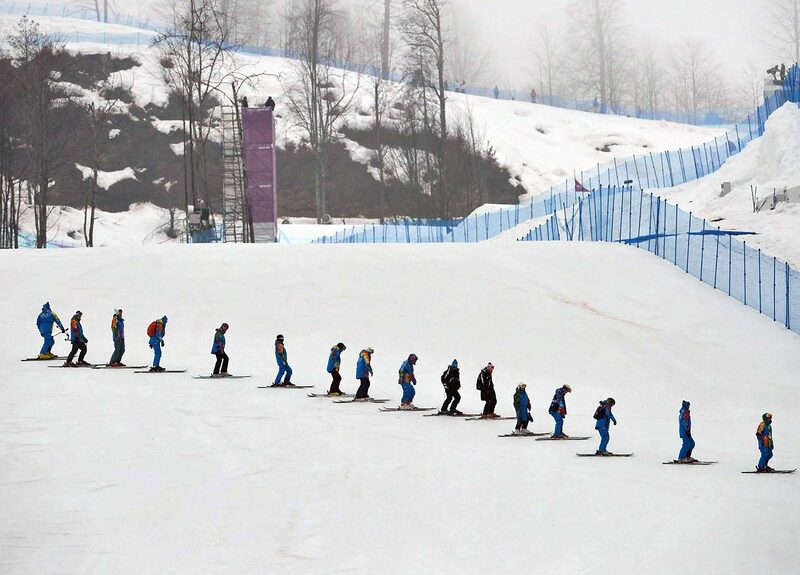 Fans waited in vain for the snowboard cross to begin. 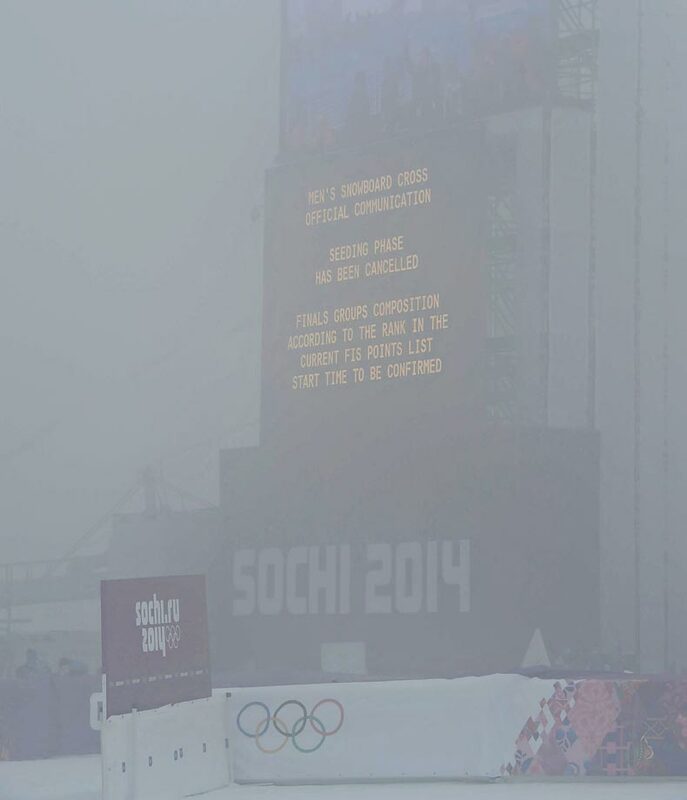 The competitors, meanwhile, tried to find a way to pass away the time. 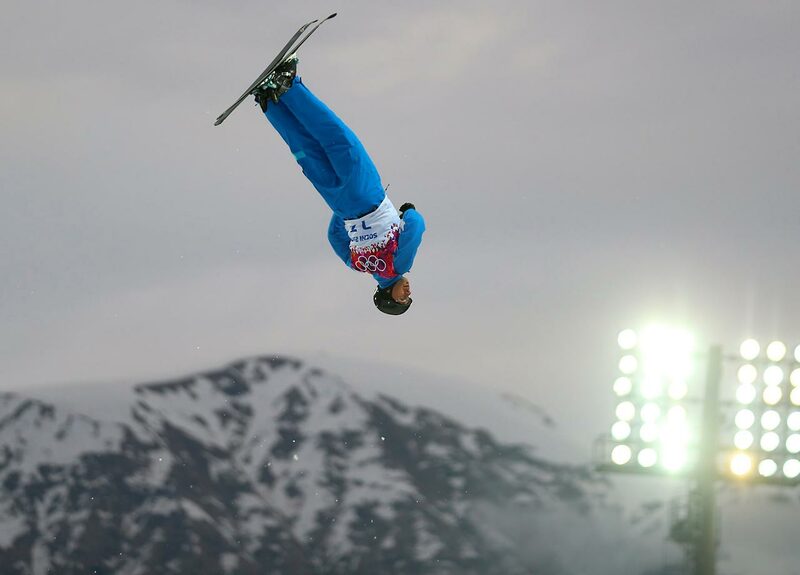 Anton Kushnir of Belarus won the gold medal in aerials, matching his countrymate Alla Tsuper, who took home gold in the women's competition last Friday. 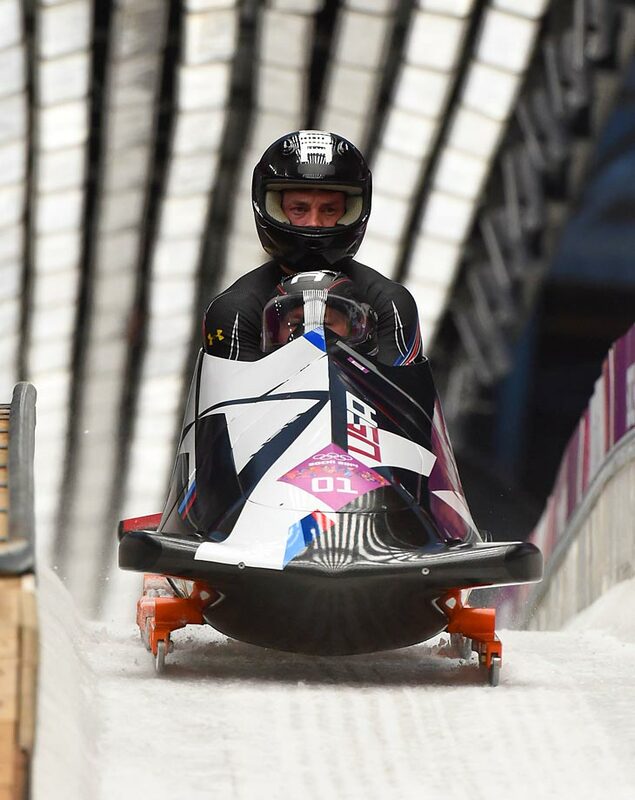 Mac Bohonnon (pictured) was the only American in the final field of 12. 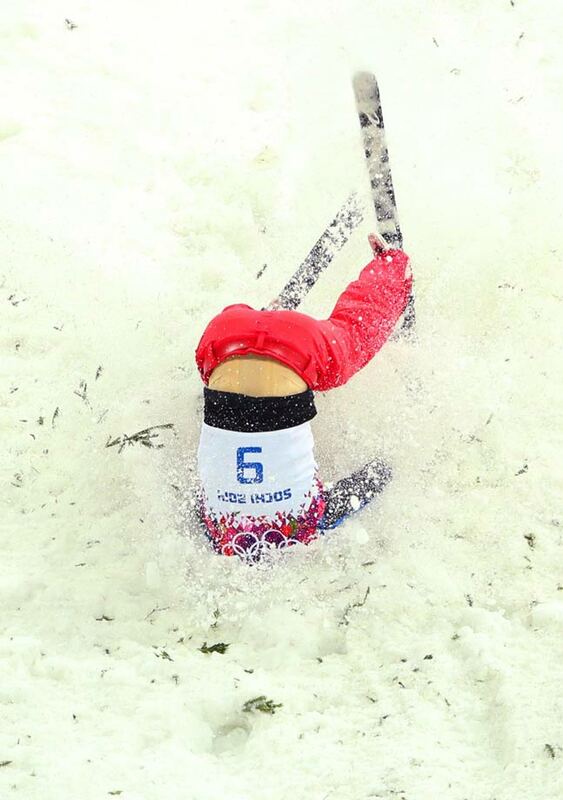 He didn't medal. 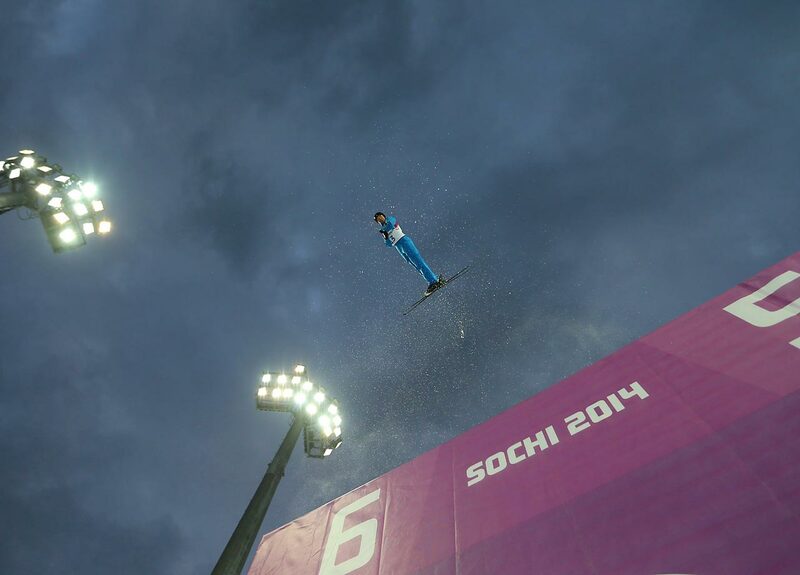 Australia's David Morris won the silver and China's Jia Zongyang the bronze. 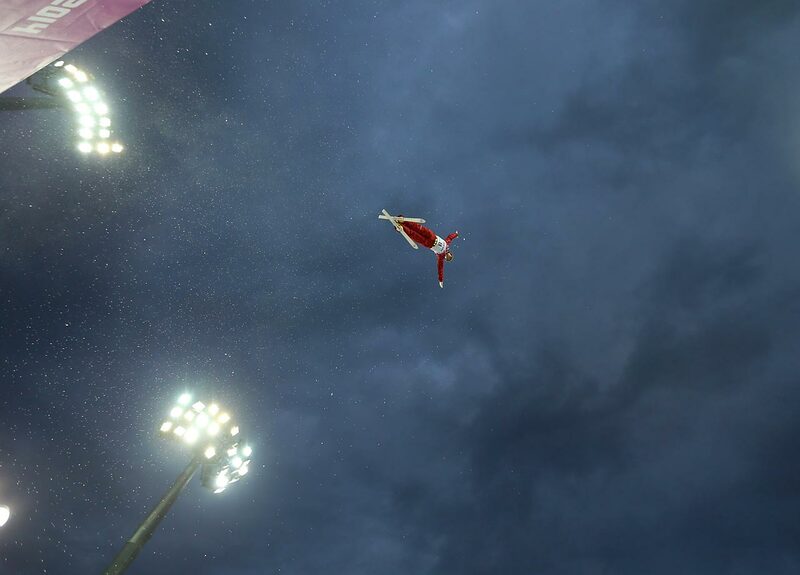 Zongyang Jia of China survived this mistake to still grab the bronze medal in aerial. 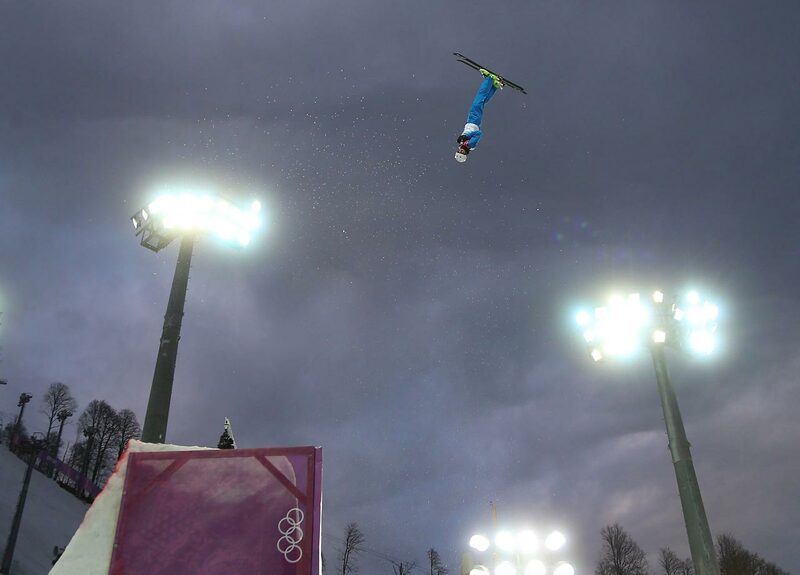 Oleksandr Abramenko of the Ukraine during aerials qualifications. 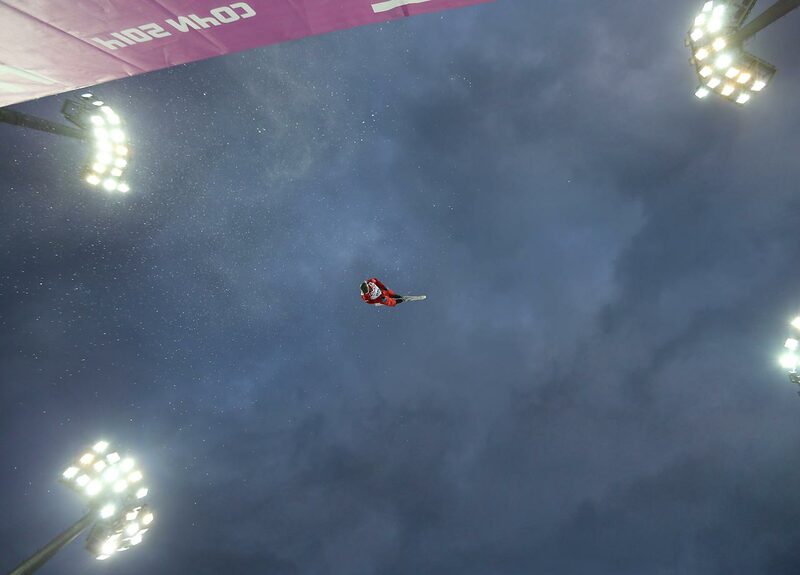 Travis Gerrits of Canada had this wipeout in the aerial competition. 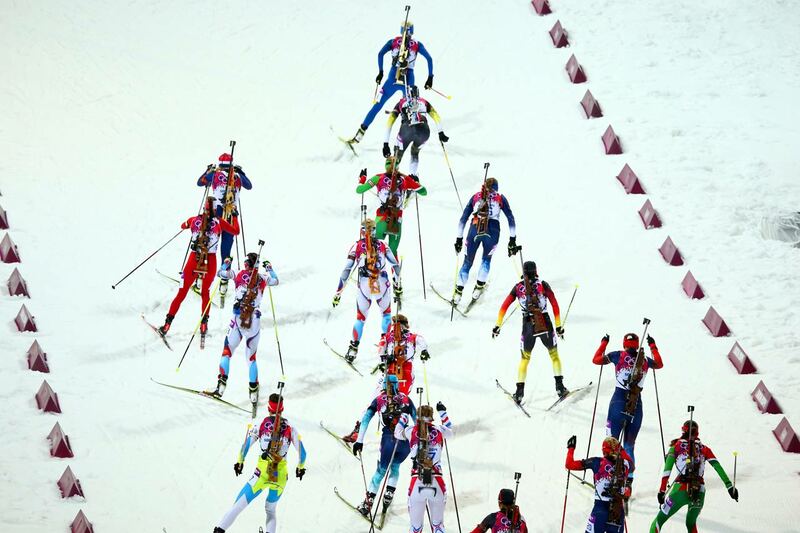 An overview of the 12.5 km Mass Start. 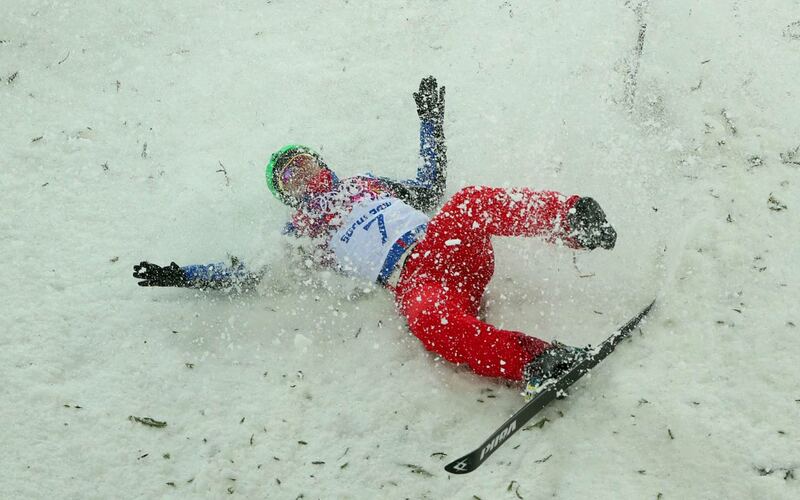 An exhausted Olga Zaitseva of Russia at the end of the women’s 12.5 km Mass Start. 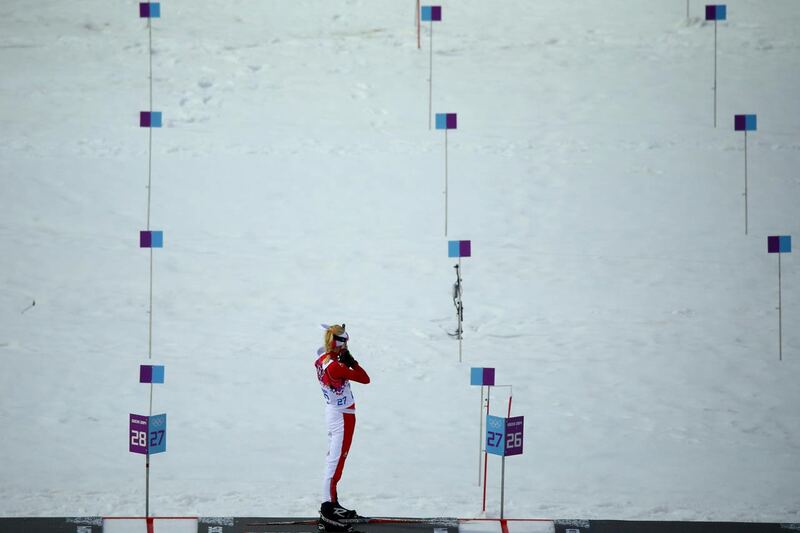 Domracheva faulted on the fourth target in her final shooting, but as her nearest rival, Gabriela Soukalova of the Czech Republic, also missed, meaning Domracheva could still carry a 14.7-second lead into her final 2.5K lap. 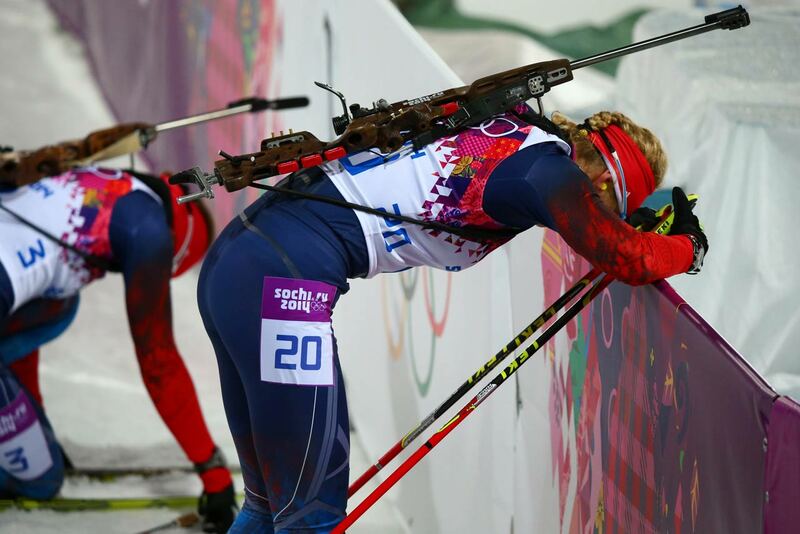 Gabriela Soukalova of Czech Republic won the silver and Tiril Eckhoff of Norway finished 27.3 behind for the bronze.